Learn about the people who work at Washington Education & Squash Academy and how their backgrounds contribute to the success of our program. Kate has been working as an educator since 2008 and herself was a college athlete. She moved to Seattle from Chicago where she was a teacher in Chicago Public Schools. 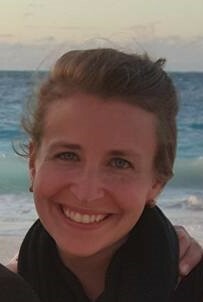 She comes to the Washington Education & Squash Academy with experience teaching in New York, Boston, Chicago, and Niger, West Africa, and cannot wait to continue her work with students in Seattle. Kate has a bachelor's degree in Psychology and a master's degree in Education. She is excited to be working at the intersection of education and athletics, as she believes this is a juncture where a phenomenal amount of growth, both intellectually and physically, but also socially and emotionally, can occur. She is excited to help our students and our program grow to their fullest potential. Scott comes to Washington Education & Squash Academy with many years of experience working with kids on fields and in classrooms. His sporting first love is soccer, which he played at the collegiate level. He was fortunate to be able to train and coach soccer players in elementary, middle, and high school for 10 consecutive summers in his home state of Maryland. He has bachelor's and master's degrees in philosophy and has just recently finished his doctorate in philosophy as well. During his time as a doctoral student in Illinois, he taught philosophy to many undergraduates. It was there, in Illinois, where he discovered squash, which he has casually played ever since and has a fierce desire to learn more about. Scott is thrilled to have the opportunity to make the move to Seattle, to get to know all of WESA's students, parents, and volunteers, and to do whatever he can to keep the program running well. He is hopeful that his passions for education and sport will benefit our students. Fannie is an athletic enthusiast who has competed at a high level in squash, ultimate frisbee, and soccer. She began playing squash in high school where she quickly rose to captain the Varsity team and competed in high level tournaments before going to Stanford University and playing on the squash team there. She's captained, mentored, and coached multiple teams and is eager to get back on the squash courts with kids here in Seattle. She recently moved to Seattle from San Francisco where she worked at Coursera to provide anyone, anywhere the best higher education through online courses and is eager to pair her commitment to education with her love for athletics. She has boundless energy and positivity, a strong work ethic, and loves nothing more than helping others to be their best selves. Annelize brings 30 years of experience to WESA, including playing as a professional from 1996-2010. Born in South Africa, she went on to represent South Africa as a junior and senior in both World Open Championships and Commonwealth Games. Annelize reached a highest world ranking of 13, won 3 National titles and 5 PSA international titles. She was also part of the Dutch National team that won the European Team Championships in 2010. Prior to arriving in Seattle, she was the assistant coach at the Heights Casino in Brooklyn, NY for 3 years, squash manager at Spa Zuiver Club in Amsterdam and owner of Orange Squash Events responsible for running various events in the Netherlands. When she isn’t on the squash court she spends time as a DJ and audio engineer, surfing, biking and any fun outdoor activity. We are very lucky to have Annelize helping to coach our scholars and lead our squash program. Tatu is a European Squash Federation (ESF) Level 3 Coach (the top level available in Europe) and has a long history of coaching and playing at the national and international level. He began his squash career as junior player and part of the Finnish National youth squad. He then moved to the Netherlands in 1999 to practice at a higher level while starting to develop his credentials as a coach. His credentials as a coach include: Coach of Elena Wagemans, Dutch Champion (U-19) (2014); Coach of Radboud University which he led to the Dutch Student National Championship (2013); Coach to Squash Apeldoorn, a club which he led to the Dutch Premier League Championship (2004-2008). We are very grateful to have Tatu helping to lead the coaching side of our squash program at WESA!